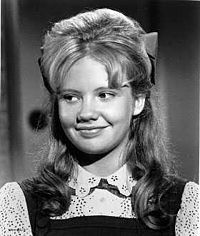 Hayley Mills' fourth Walt Disney picture was a footnote in both her career and the Disney filmography for many years. Certainly, it pales in comparison to stellar Disney-Hayley collaborations like Pollyanna and The Parent Trap. There's no shame in that, but, in my experience, it's also not unusual for Disney die-hards and Hayley fans to ignore Summer Magic when discussing In Search of the Castaways, The Moon-Spinners, and That Darn Cat. Still, I'm pleased to say the film has its faithful fans; when I recently mentioned Summer Magic on Twitter, I received a surprising number of enthusiastic responses. The story unfolds in Boston around the turn-of-the-century, with the Carey family packing up their belongings to move to more affordable accomodations. The recently-widowed Margaret Carey (Dorothy McGuire) has little time to mourn her husand as she copes with what her daughter Nancy calls "reduced circumstances." Mom soon learns that the enterprising Nancy (Hayley) has inquired about a vacant house in rural Maine, where the family vacationed in happier times. Nancy easily convinces the family to leave Boston behind and take up residence in "the yellow house" in the charming town of Beulah. 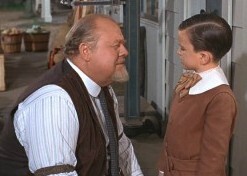 The village's most popular resident is Osh Popham (Burl Ives), the local postmaster, storekeeper, handyman, and real estate agent for the mysterious Mr. Hamilton, who owns the yellow house. Osh and his two children befriend the Carey brood immediately (Mrs. Popham is not as easily swayed). But just as the Careys settle down, they are joined by uppity teenage cousin Julia (Deborah Walley), who competes with Nancy for the attention of the handsome new schoolmaster (James Stacy). Summer Magic was based on Kate Douglas Wiggin's 1911 novel Mother Carey's Chickens, which was adapted for the stage in 1917. RKO mounted a screen version in 1938 with Fay Bainter as Margaret Carey, Ann Shirley as Nancy, and Walter Brennan as Ossian Popham. It was intended as a Katharine Hepburn vehicle, but she bought out her contract with RKO that year. 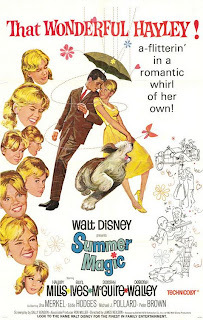 As a lighthearted musical remake, Summer Magic coasts largely on the affability of its cast, especially the always versatile Burl Ives. He's the glue that holds the episodic plot together. He also gets to sing "The Ugly Bug Ball," written by Richard Sherman and Robert Sherman, who scored the best Disney musicals (e.g., Mary Poppins). Ives croons this unlikely tune about self-acceptance to young Peter Carey (played by Jimmy Mathers, brother of Jerry Mathers of Leave It to Beaver fame). According to Robert Sherman's book Walt's Time: From Before to Beyond, Disney didn't like "The Ugly Bug Ball" initially, but was convinced by the Shermans to leave it in the film. The song remains a favorite of Ives' fans (if you've never heard of it, just Google the title and you'll be amazed about its enduring popularity). While far from a Disney classic, Summer Magic will appeal to fans of its performers and to anyone in the mood to visit the kind of innocent small town where the worst crime is the theft of a 25-cent haircut. "Summer Magic" is sweet and light and just perfect for a lazy summer day. The yellow house turns out to be quite lovely. Hayley is enjoyable and Burl Ives delightful. His "Ugly Bug Ball" joins with "Holly Jolly Christmas" as memorable movie songs. Good selection for family viewing; even the 25-cent haircut theft is reimbursed. Great post, Rick! This is one of those movies I first saw when it was new. I was young then and have never forgotten how enchanted I was (and I remember "The Ugly Bug Ball"). 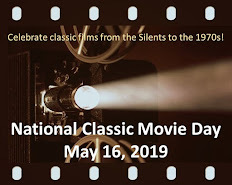 I believe it was released in the summer of 1963 and I saw it with my family on one of those "let's go for ice cream after the movie" warm nights. Anyone who has ever lived the "innocent small town" life will probably be charmed.